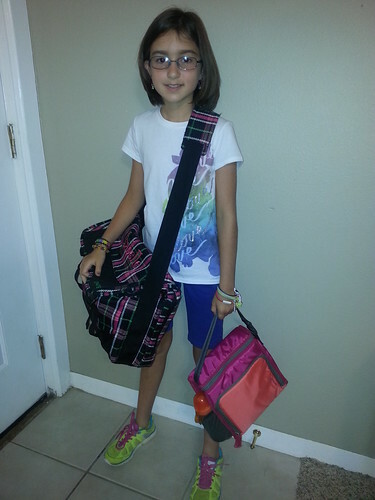 This year Isabelle started 5th grade and Anna started 3rd grade. I do not know where the time has gone. Both girls were excited about meeting their new teachers and going back to see their friends. Isabelle and her friend Jada have been in school together for six years now and have never been in the same class. And last year and this year there are only three possible classes. Anna and her friend Josie have been in school together for four years now and have never been in the same class together either. What are the odds? Especially considering that there are some kids who have been in Isabelle’s class all but one or two years. 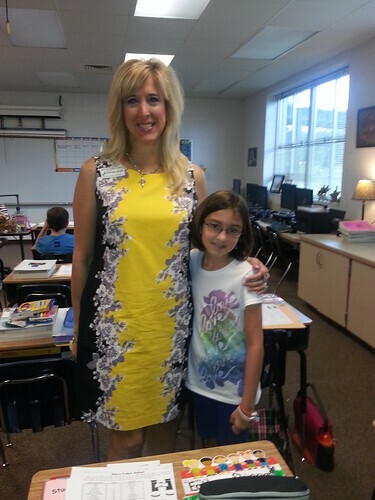 Here is Isabelle with her teacher Mrs. Smith. Apparently, she is the daughter of a former pastor of Jay First Baptist Church and used to live in this house. Isabelle thinks that is a neat thing. 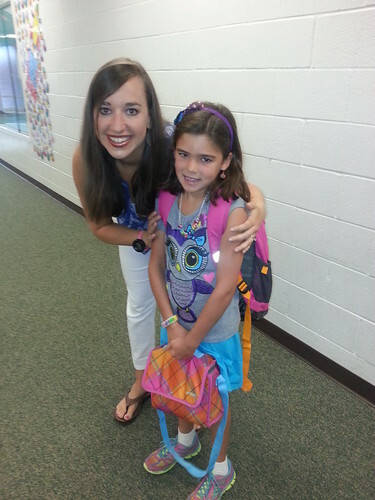 Here is Anna with her teacher Mrs. Rowell. She is a church member. Anna wouldn’t talk to her for the two weeks at church before she started school. But apparently, Lana has won her over and we are hearing reports that Anna is as ‘out of her shell’ as she has ever been. Here is a picture of the girls each by themselves. Isabelle, especially, looks so grown up! But she is still one of the shortest people in her class. 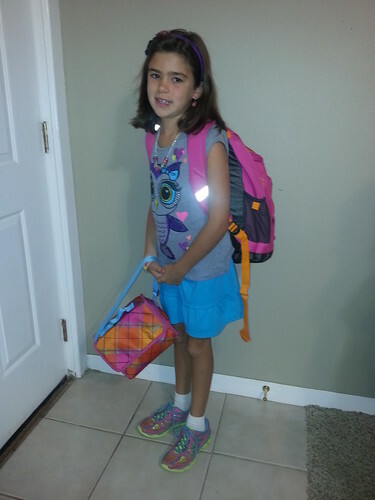 Makes me nervous knowing that in two years she will be in middle school. I pray that I can keep them little (and innocent) for as long as possible. I am also praying that they have a wonderful school year and God uses them to teach others about Him. I pray for their safety and I pray for them to learn as much as they can possibly fit into those beautiful heads. I pray that they know how much their daddy and I love them! Thank you all for your prayers for them as well!